I have been waiting for almost a year to try this recipe. 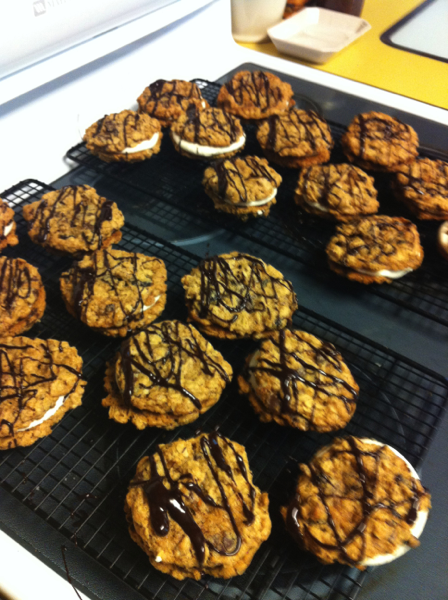 Jeffrey had found it and sent me an email with the recipe saying we should give it a try. I usually have cranberries stocked in the freezer, but they were absent when I finally got around to making the muffins, so I had to wait. The first appearance of cranberries in the grocery store I quickly grabbed them and stuck them in the freezer. I knew I would be making these muffins as soon as I found some free time in the kitchen. That free time actually came a few days before Thanksgiving. I actually used gluten free flour in my muffins instead of regular flour. (My muffins didn’t rise like I expected, but that is possibly due to the GF flour.) 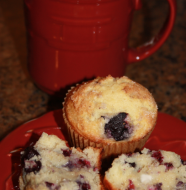 Jeffrey and I loved these muffins! Jeffrey even commented that these were his all-time favorite muffin. I agree that they are quite delicious. 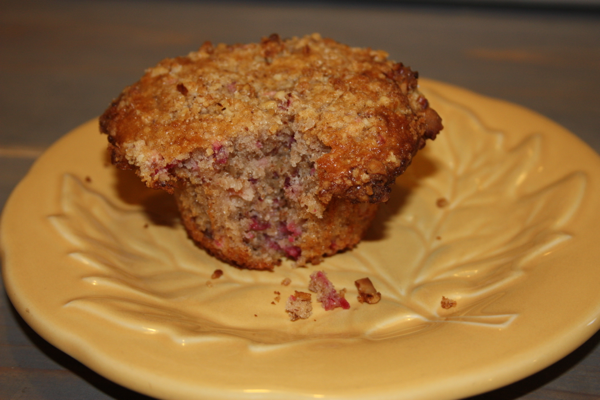 The streusel topping is superb and since you chop the cranberries in the food processor you have small bits of cranberry in every bite. The tartness from the berries contrasts nicely with the sweetness of the toasted pecans brings the whole muffin together. These will definitely be on our holiday baking list and may even be treats for family and friends if I can keep myself from eating them all. Definitely a new favorite. FOR THE STREUSEL: Adjust oven rack to upper-middle position and heat oven to 425 degrees. Process flour, sugar, brown sugar, butter, and salt in food processor until mixture resembles coarse sand, 4 to 5 pulses. Add pecans and process until pecans are coarsely chopped, about 4-5 pulses. Transfer to small bowl; set aside. FOR THE MUFFINS: Line muffin tin with paper liners. Whisk flour, baking powder, ¾ teaspoon salt together in bowl; set aside. Pulse cranberries, remaining ¼ teaspoon salt, and powdered sugar in food processor until very coarsely chopped, 4 to 5 pulses. Using rubber spatula, fold cranberries into batter. Use a large scoop to divide batter equally among prepared muffin cups, slightly mounding in middle. 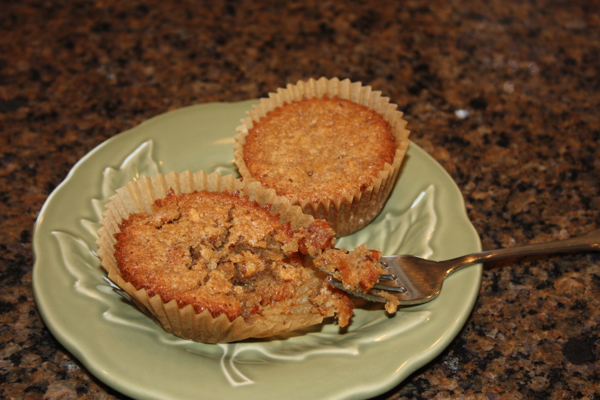 Evenly sprinkle streusel topping over muffins, gently pressing into batter to adhere. Bake until muffin tops are golden and just firm, 17 to 18 minutes, rotating muffin tin halfway through baking time. Cool muffins in muffin tin on wire rack, 10 minutes. Remove muffins from tin and cool for at least 10 minutes before serving.